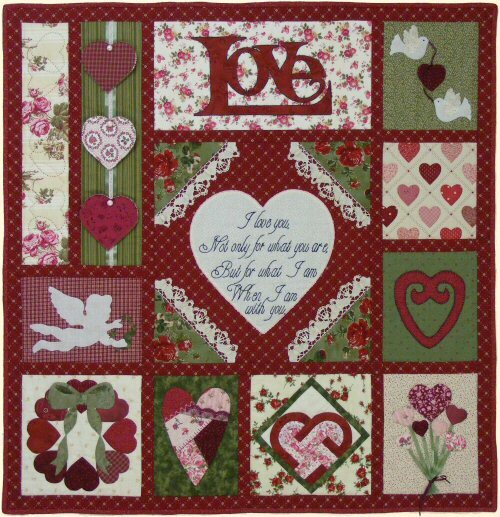 Quilt Size: 40" x 41"
How Do I Love Thee... is a Sew Simple Sampler™ pattern. The techniques include Fusible Appliqué, Puffy Appliqué, Freezer Paper Appliqué and Machine Piecing; along with some fun 3-D Add-Ons (Hearts, buttons, charms, ribbons & laces). This would make a lovely wedding quilt, substituting the couples wedding information in the centre heart.